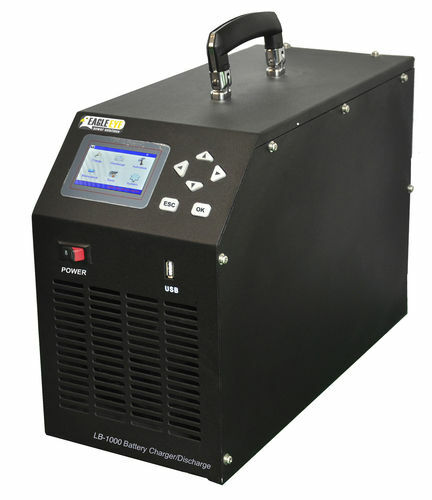 The LB-1000 has power supply of - AC220V/110V and a discharge voltage range of 24V or 48V and 0-300A . This device is equipped with a LDC display ranging from 128*64 pixels and a dimensions of - 15.5 x 14.5 x 7.8 inches. It is developed with a portable or compact design that enables it to be handy. The LB-1000 is operating with a USB Temperature of 41°F～122°F. This unit is applicable to use with a single cell of 2V, 6V and 12V. This device has 3 main functions that are charging, discharging and activation. These functions could be used separately or comprehensively. It can be in the forms of testing, waveform playback, and many more. User are able to charge or discharge single and multi-cell batteries using this device.